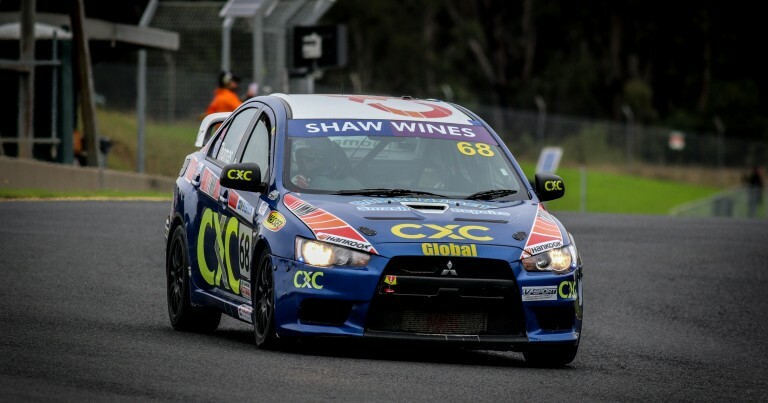 After a two-month hiatus, the teams and drivers of the Shaw Vineyards New South Wales Production Touring Car Championship were back in action after the winter break, at the same venue that hosted Round 3 – Goulburn’s Wakefield Park Raceway. The Southern New South Wales circuit was where the first half of season 2015 ended, and the second started. This round of the series would see a return of endurance racing, with one one-hour race on the Sunday afternoon. The drivers would also have a qualifying session, plus a short sprint-race for both Driver A and B, before the top ten from Qualifying would fight for pole in the Top Ten Shootout. Saturday was dry, but Sunday started wet, making life difficult for those taking part in the shootout, as the track was drying through the course of the session. On Saturday though, it was once again a battle between the entry of Luke Searle and Barry Graham, and CXC Global’s Dylan Thomas, in qualifying for Sunday’s 1-hour race. Provisional qualifying was dominated by the BMW of Searle and Graham, with both drivers topping their respective Driver A and B session. Daniel Oosthuizen and Dylan Thomas made up the top three in Driver A Qualifying. Not all cars ventured out for Driver B Qualifying, so Steve Hodges capitalised on the less congested race track to take second behind Graham, with Tony Virag in third. Qualifying set the grid for the two sprint races on Saturday afternoon, each over 8 laps. In the Driver A race, it was Luke Searle holding off Dylan Thomas in a tight tussle to the chequered flag, to win by half a second. Daniel and Jacques Oosthuizen took third and fourth, with Matthew Holt rounding out the top five. The driver B race wasn’t as close a contest, with Barry Graham absolutely smashing the field, to win by 10-seconds from Michael Caine and Robert Coulthard. As reported earlier, Sunday morning’s Top Ten Shootout was contested on a drying track, which left those earlier in the queue with no help, and no hope of clocking the fastest time. Gerry Murphy was the test dummy for lack of better terms – as he was the first driver out in the shootout, and unsurprisingly, he stayed 10th. Pole was taken by the CXC Global Racing entry of Dylan Thomas, who could only manage third in provisional qualifying. His shootout effort enabled him to leapfrog Daniel Oosthuizen and Luke Searle. Searle was the big loser in the top four, with the BMW only capable of fourth fastest time behind three Evo’s who showcased the benefits of four-wheel drive power, as Jacques Oosthuizen joined his brother and Dylan Thomas in the top three. Luke Searle topped the morning warm-up on a fully dry circuit. 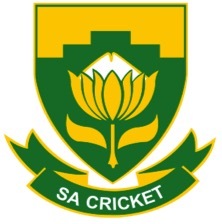 Thomas opted not to contest the session, in which regular front-runners Daniel and Jacques Oosthuizen were second and third, with Hodges and Holt rounding out the top five. The race was the last on the program, which meant that by the time the chequered flag fell, the air was cooler, and the sun was setting on another fantastic weekend of racing, but the hour in between did NOT disappoint. Dylan Thomas tucked in behind Daniel Oosthuizen off the start. Oosthuizen’s a demon starter – he’s really got them down pact, because that’s not the first time he’s beaten Thomas off the line in season 2015. Oosthuizen would lead the first 20 laps, but a mistake on Lap 21 would not only hand Thomas the lead, but also be the start of his woes for the afternoon. Brother Jacques handed his car over to Father, Roelof, who would then suffer the same brake issues that son Daniel had already encountered, but while Daniel was able to limp home, Roleof was forced to retire the #16 entry. From that point, Daniel Oosthuizen would battle with brake issues until bringing the car home in second, and there would be no stopping Dylan Thomas. The pole-sitter would lead into and out of the compulsory pit-stop, and would go on to lap the field, before taking a most convincing victory. Thomas nabbed his fifth win of the season in Class A1 from Daniel Oosthuizen, while Cary Morsink nabbed an impressive Class A2 win with third outright. Mark Caine and Josh Muggleton won Class B2, and finished 7th outright, while Chris Reeves claimed Class D honours in 9th, Elsewhere, the GWS Motorsport entry of Mennell and Rowlandson claimed Class C honours with their 13th place finish, and the Renault Migane of Blake and Kyle Aubin won Class B1 after finishing 16th outright. Just four races remain in the 2015 Championship, and they will all be contested at Sydney Motorsport Park, with another one-hour race on the cards for September 27, before a sprint round will finish the season off on October 24 and 25.